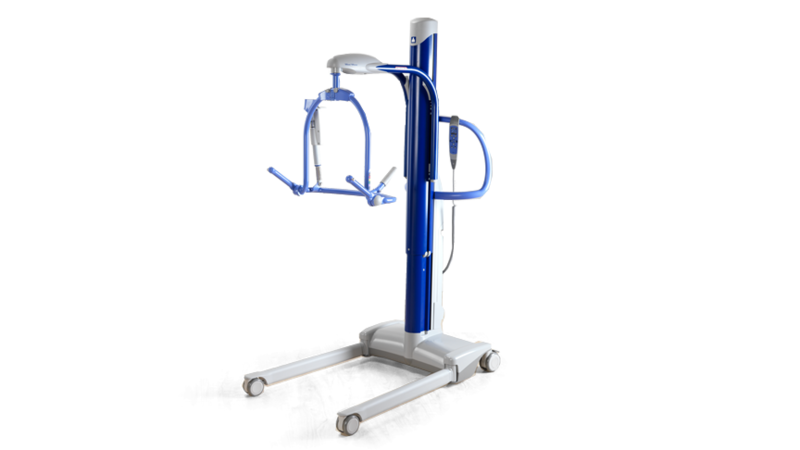 This battery-powered passive sling lift allows a single caregiver to safely manage a wide range of resident/patient handling routines. With unrivalled flexibility, stability and reliability, the Maxi Move is the optimum lifter for intensive use in demanding care environments. With a new built-in electronic scale and a handheld control unit with a display, it helps the caregiver provide a higher quality of care. Simple instructions for use, with a visual guide, on the mast provide convenient assistance to the caregiver. The Combi™ attachment enables smooth switching between different spreader bars. Various different resident/patient interfaces to choose from, with the widest range of spreader bars in the market. The most comprehensive range of slings available. A vertical lifting action - Stable Vertical System (SVS) - means safer lifting routines. Dynamic Positioning System (DPS) spreader bars help to prevent the sling from swinging during transfers.